La Verne ATP Recommended Bikeways | Kittelson & Associates, Inc. 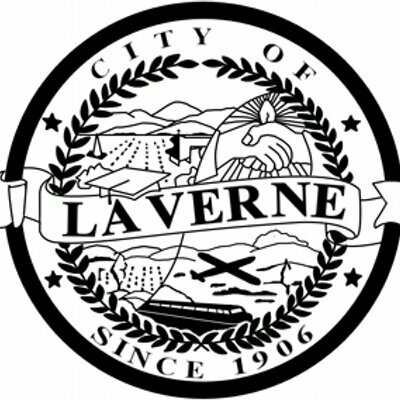 Welcome to the La Verne Active Transportation Plan online map for bikeway recommendations. 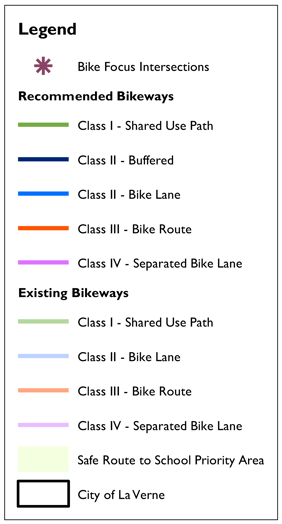 Share your thoughts on the recommended bikeways for the Active Transportation Plan by April 3rd, 2019. Your input will help the City determine changes for the final recommended network and prioritization for future implementation. Safe routes to school priority areas will be use to develop school walking and biking routes and identify any associated improvements to improve students walking and biking experience. Bicycle focus intersections have been identified for the City to improve bicycle movement through the intersection and visibility. The map will remain active for comments until April 3rd, at which point, the public comment period will be closed. To leave comments on recommend pedestrian crossing improvements, click here. Having trouble viewing or using the map? Please contact Candice Bowcock at cbowcock@cityoflaverne.org with your comments.